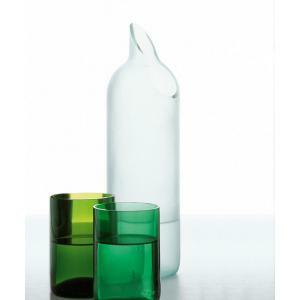 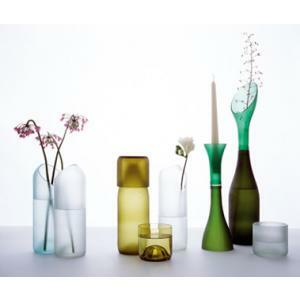 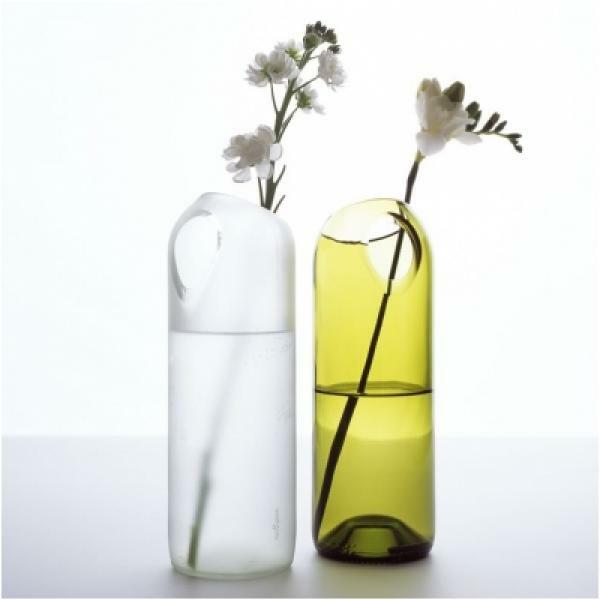 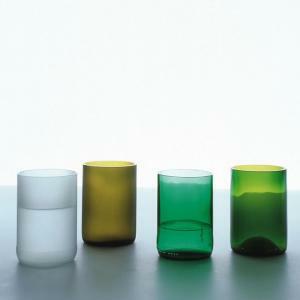 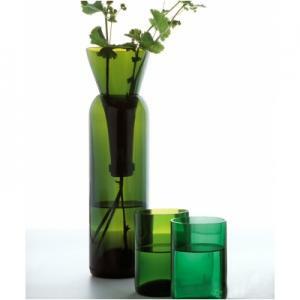 Two Hole Vase from the transglass collection. 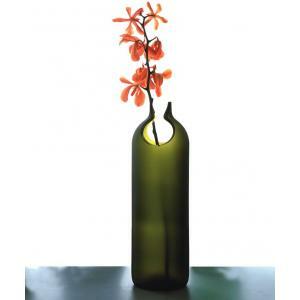 Made of recycled glass and is a one-of-a kind piece. 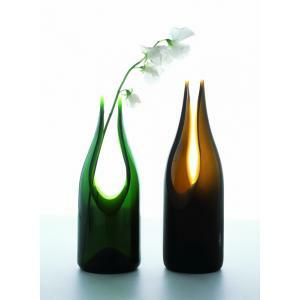 Two hole vase - Dia 3", H 8.5"